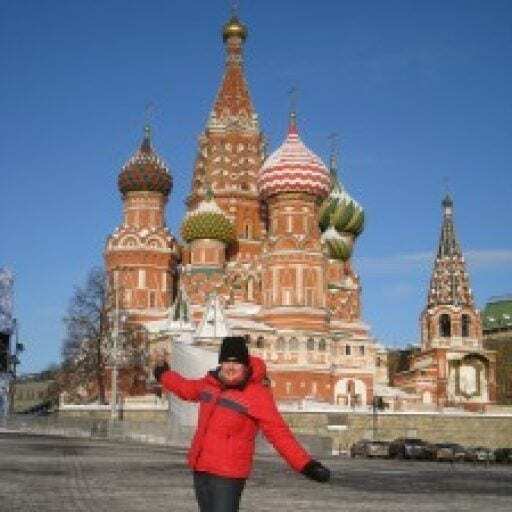 When I travel to new cities and countries, I always look for gluten free travel guides written by coeliacs and gluten intolerant people who actually live those cities and countries as good first sources of information. I live in London (I’m proud to call this wonderful city my home for 20 years!) and I have personally visited all the restaurants and cafes listed here, sometimes many times. This is a collection of gluten free restaurants in London that I eat at and am happy to recommend. Where can I find London’s 100% gluten free restaurants? I’ll be honest, I don’t make a massive effort to search out 100% gluten free restaurants. Of course I’m happy when this is an option, but given the choices and high standards of non-100% gluten free restaurants in London, this is an option for me but not a requirement. Free From Bakehouse – Although Caroline’s award winning can be bought online and in various outlets ranging from Fortnums to Whole Food Markets, it’s to Borough Market (NB the market is only open Wednesday – Saturday) you should come. The market itself is a wonderful place for a foodie to roam, if a little crowded on a weekend. My favourites are the savoury tarts and the raspberry and white chocolate brownies are impossible for me to resist – so good! Although the word ” chain” perhaps has negative connotations for some, for those with allergies and intolerances they can be an ideal place to eat. Why? Because excellent staff training, standardised procedures and a well thought through approach at head office level (often involving industry experts) means high quality processes to minimise the risk of cross contamination. 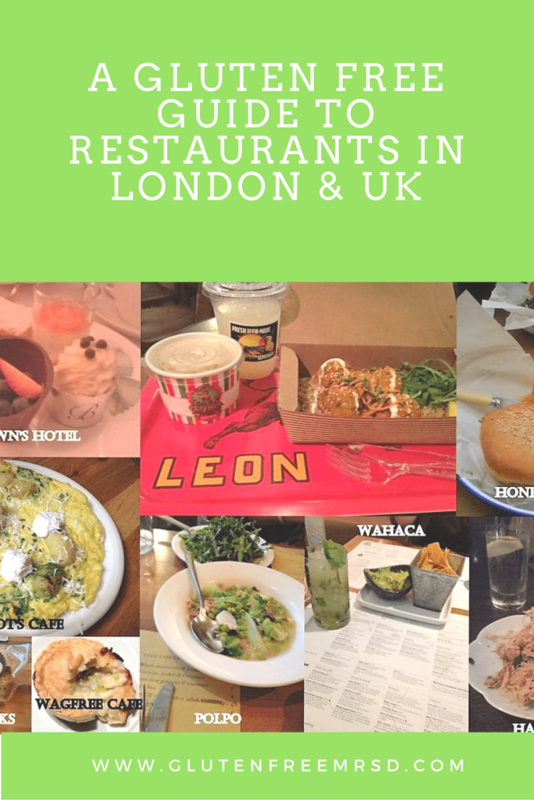 Almost all of the restaurants below are nationwide in the UK (some much bigger than others) so if you are travelling outside of London, these are highly recommended places to eat. Gourmet Burger Kitchen – Offer gluten free buns but unfortunately they don’t offer gluten free fries in all locations (please ask in each location) but their burgers are delicious. Cote Brasserie – This collection of restaurants offer delicious classic French dishes with a dedicated gluten free menu, accredited by Coeliac UK. The team behind Cote have put a lot of effort into developing a great menu for Coeliac / gluten intolerant diners. My top picks are steak frites. Gluten free dishes here are identified with small picks to ensure diners receive the correct dish. Pure – A great choice for breakfasts with all porridge and bircher muesli made with gluten free oats. Other gluten free breakfast options are the super eggs with various toppings ranging from goats cheese or smoked salmon or salsa fresco. There’s also plenty of gluten free lunch time options from salads or hot pots. The coffee is really good here and the staff in the branch I visit at Moorgate are super friendly. Which independent restaurants in London offer a reasonably priced gluten free meal? Don’t all British people enjoy afternoon tea (I’ve seen Downton Abbey, you know!) where should I go for gluten free afternoon tea in London? I DO indeed LOVE afternoon tea! It’s such a treat and there are many places in London which offer excellent gluten free (and nut free) afternoon tea. I’ve been lucky to enjoy quite a few gluten free afternoon teas (and I have a couple planned for 2019) so I will update this page. It’s VERY popular: You should book as far in advance as possible. Some hotels have dress codes to varying degrees, I’d recommend checking the website in advance. Don’t worry, you don’t need a hat! But gentlemen sometimes require jackets and usually long trousers. I’m looking for a restaurant to enjoy a fantastic meal, where should I go for gluten free fine dining in London? Perhaps you’d like a special romantic meal? Or maybe you’d like to entertain a client (or even better, be entertained?). London has many excellent and Michelin starred restaurants and the majority of these will be able to cater for gluten free diets without fuss by adapting the dishes. Good restaurants do get booked up long in advance so if you have somewhere special in mind, make sure you call in advance and reserve a table. At the same time, notify the restaurant of your dietary restrictions, discuss with them how they will handle cooking for you and ask they confirm which menu options would be suitable for you. Where can I eat gluten free near to London’s tourist attractions? Hang on, you’ve not mentioned where I can find gluten free fish and chips in London yet? London and the UK may be known for it’s national favourite of fish and chips but it’s surprisingly difficult to find coeliac safe fish and chips in London. If you’re in a restaurant which claims it has gluten free fish and chips, please do check and double check the batter AND that they have a separate and dedicated fryer as this is not always the case. The Seine Rigger – technically this is not in London (it’s in Surrey) but I enjoyed the fish and chips here so much I’ve had to include it. If you’re in south London, this might be an option. Please do call ahead to make sure the separate fryer is on and for them to prepare a fresh batch of the gluten free batter. Wait! You’ve missed my favourite gluten free bakery or restaurant in London from this list, why is that? Perhaps your favourite spot is one I haven’t visited, or perhaps I did visit and I didn’t have a great experience there, both reasons they might not be in this list. This is a list of my personal recommendations. This is not a list constructed from google search or other people’s blog posts; these are the places I have actually eaten in, sometimes once and sometimes I eat there every week! If you met me in real life, these are the places I’d tell you to eat. However, one other reason there are some notable absences (especially London’s gluten free bakeries) is that I have a nut allergy (I’m allergic to almonds, hazelnuts and chestnuts) which means many of the gluten free bakeries which use nuts/nut based flours are off limits for me. La Polentaria – the bad news is that this fantastic 100% gluten free restaurant focusing on (yes, you guessed it…) polenta has closed but the good news is it’s been replaced with a new restaurant with the same team Leggero (see above). me with this. Your pictures look really good and so taste is the next thing. Thanks so much look forward to hearing from you soon. My daughter is in the UK at the moment and is Gluten free. She would love to do a short course if there is one on offer for gluten free – do you know of a good one please. She already cooks well but she wants to learn more. Hello – thanks for stopping by and commenting! Is your daughter in London? If so, I would recommend your daughter tries the course run by Sarah Jones at Especially Delicious Cakes. You can read my blog post here: http://www.glutenfreemrsd.com/2011/03/gluten-free-baking-course-london.html which has the contact details for the course. What part of Australia are you from? Fantastic country! Thanks for stopping by and commenting. I haven’t been to Cotto yet but I’ve heard lots of good things about it so I really should go and try it soon. There is also a gluten free restaurant in Kingston, SW London which is very good. If you ever find yourself in Belfast please stop by St Georges market on a Saturday 9am to 3pm or Sunday 10am to 4pm. I run a small baking business called Check out my Buns and I speciailise, although not exclusively, in sweet treats made with gluten free ingredients and I trade at St Georges every Saturday and Sunday.